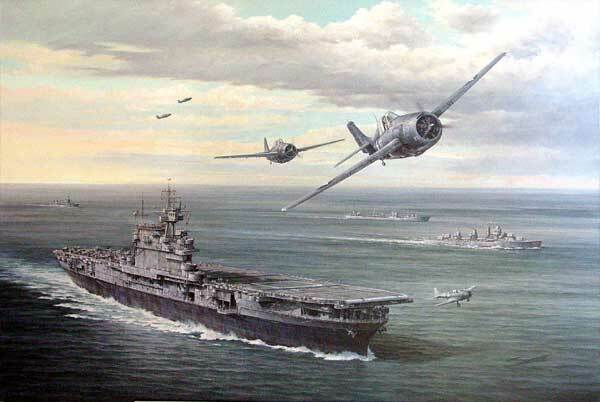 The most important US carriers in the Pacific at the start of the war were undoubtably the three Yorktown Class carriers. 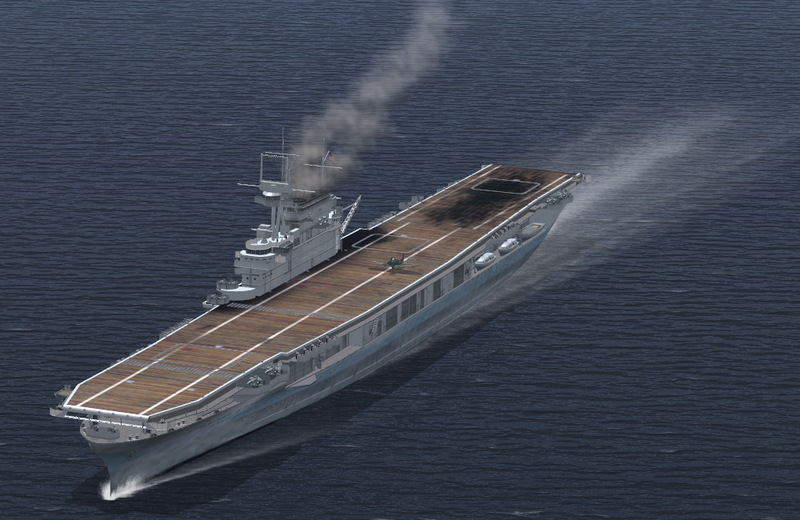 These were at that time the most modern carrier units in the US fleet and along with the Lexington and Saratogo bore the brunt of the action until the new Essex class carriers began to join the fleet in 1943. Yorktown was the first of the class to be commisioned and the first to be lost when she was sunk at the Battle of Midway. The model represents the ship as it was armed after its refit in December 1941 when the 20mm AA was added. May 1942 VF-42(20 F4F), VFN-5(19 SBD), VT-5 (13 TBD), VS-5 (19 SBD), total 71 aircraft. June 1942 VF-3(25 F4F), VB-3(18 SBD), VT-3 (13 TBD), VS-5 (19 SBD), total 75 aircraft. This includes five versions and all class files, v4.10/v4.11 compatible. 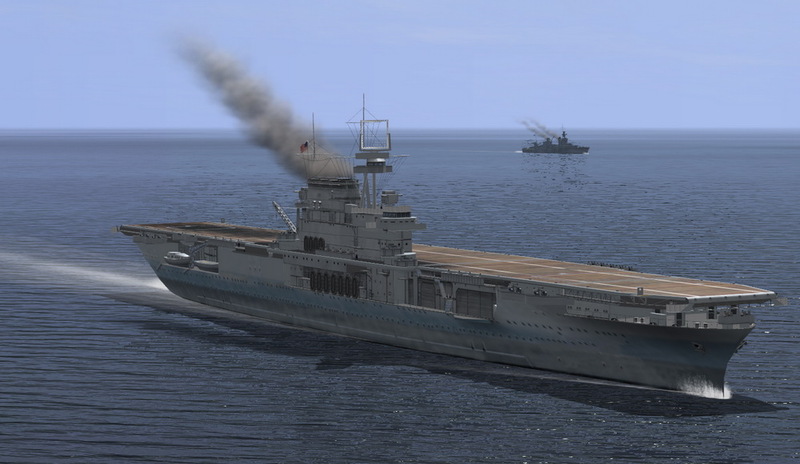 Original Mod - Yorktown only - superseded by Plowshares download - as above. Alternative class files for v4.09 compatibility. 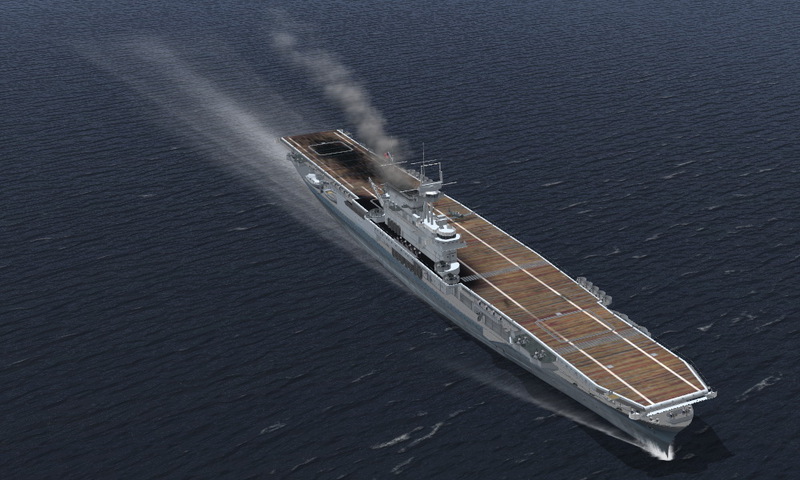 Includes slots for all carriers in latest skin pack. New skins can be copied from the Plowshare pack above. Extract the contents of the download to a temporary folder on Desktop. Detailed instructions are included in the folder. Paste the ShipAshe folder into your Mods folder. 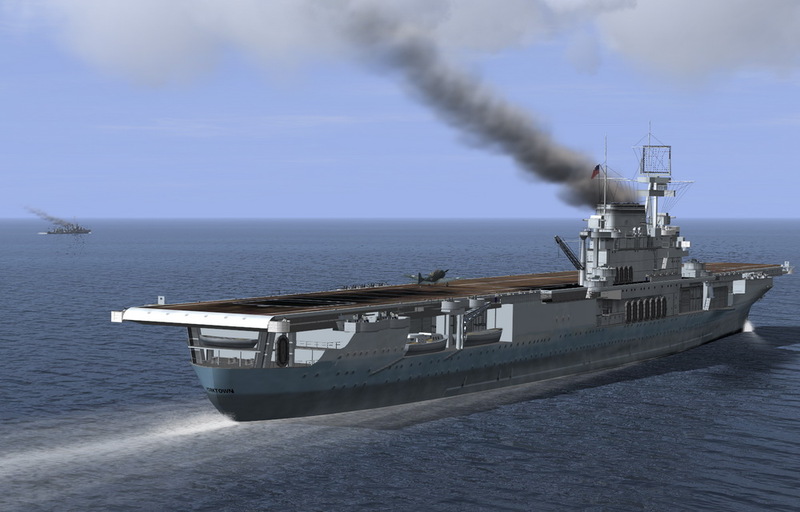 If you have a SAS MODAct v4.10 install then class files for USS Lexington 42 will be overwritten with new files if you had that previously installed. Edits are required to ship.ini, chief.ini, stationary.ini and technics_ru.properties. Refer to the detailed instructions. 1. Replace the existing class files with the alternative available above. 4. Check the game still starts ok -- cloned ships not yet available. 6. Check the game starts ok -- cloned ships should now appear in the menus. 7. Duplicate stationary.ini and technics_ru.properties entries and replace text as before to complete the installation. Texture modifications are being done by others. This is intended as a temporary fix to provide Hornet and Enterprise as named options in the menus. More authentic 3D models for each of those may come in the future but are not yet available. 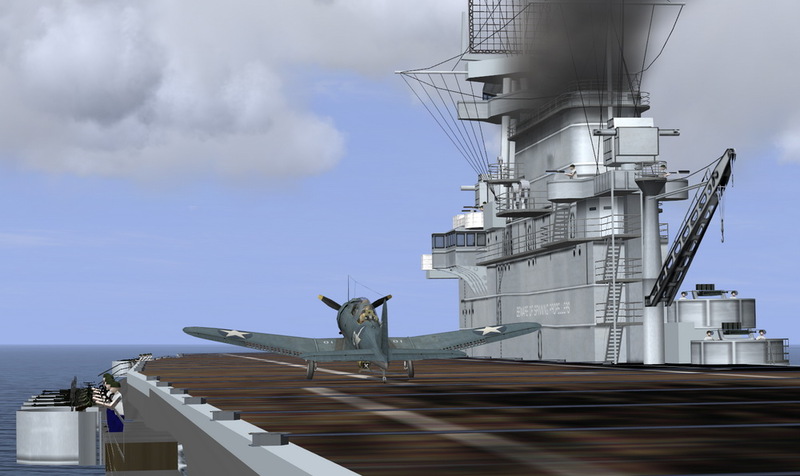 1C - Parts of existing textures, and guns particularly USS Lexington used extensively. Back up your files before doing any editing. PS I expect that there will be some bugs remaining. Post any bug notifications here and I will try to attend to them. Is it just me or does this ship simply looks stunning? Stunning indeed! Master shipbuilder, we are in eternal debt!!!! Nice to see her afloat and operational Asheshouse! Thanks for your work and dedication. A fitting release date too. Stunning indeed! Dl-ing now! many thanks, ashes! Absolutely beautifull. Thank you so much. Absolutely AWESOME Asheshouse!! Thank you so much for all of your projects but particularly for this one.